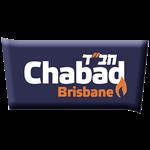 If you would like to learn more about Mikvah and Family Purity please don't hesitate to call Dvorah Jaffe at 07 3843 6770, or email dvorah@ChabadBrisbane.com or Sarah Chanah Sufrin 07 3342 0108, or email sarahchanah@ChabadBrisbane.com. Dvorah and Sarah Chanah would be delighted to make a private appointment with you to go over the details of why, how and when the Mikvah is used. Please don't hesitate to contact us for guidance and assistance.